The city of Birobidzhan was established in 1928 in the far east of the USSR for the development of a territorial unit for Jewish settlement. The Swiss architect Hannes Meyer, the second director of the German art and design school ‘Bauhaus’, worked on developing the city. While the plan was never fully realized, many connections can be drawn between the Jewish settlement in Birobidzhan and the Jewish city of Tel Aviv, famous for her abundance of Bauhaus architecture. The exhibition relates Bauhaus in Birobidzhan to Bauhaus in Tel Aviv, simultaneously marking the 80th anniversary of Birobidzhan and the 60th anniversary of the state of Israel. 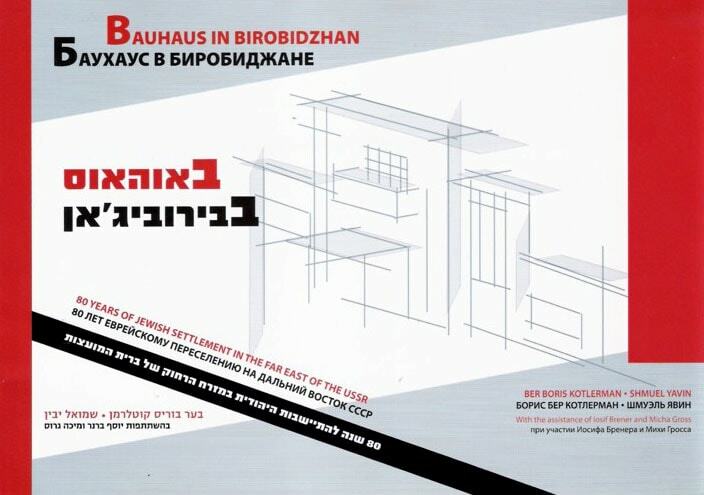 The ‘triangle’: Jewish settlement of Birobidzhan, the Bauhaus School of Dessau and architecture in Palestine—primarily Tel Aviv, creates the opportunity for this catalog from Tel Aviv’s Bauhaus Center, marking 80 years of Jewish settlement in Birobidzhan, twenty years ahead of the declaration of the Jewish State in Israel. Catalog: English, Russian and Hebrew, 155 pages, ca. 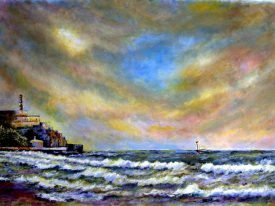 200 pictures, ca. 24cm x 25cm, hard cover. Editors: Ber Boris Kotlerman, Shmuel Yavin.